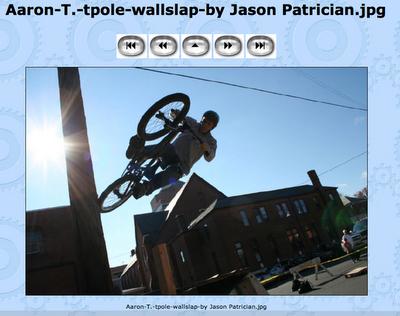 So Jason Patrician submitted the photo he took of Aaron Tauscher's telephone pole slap to VeloNews' photo contest. The photo was taken at this years Pedal Power Stunt Show and it is now published at VeloNews.com. For those of you who don't know about Velo News, they mainly focus on road cycling, so its totally rad that they chose a BMX photo to publish on their site. SICK! For those of you who don't know Aaron, he is a total shredder and the most modest dude you will ever meet. As for Jason, he's an insane graphic designer and illustrator. Congrats to Jason and Aaron for getting some global exposure! Velo News is viewed worldwide!! !